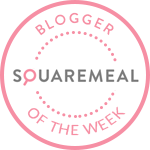 Emily's Recipes and Reviews | UK Food Blog | Leicestershire : the food market: gourmet eats and foodie treats to your door. the food market: gourmet eats and foodie treats to your door. TheFoodMarket.com is a bustling online marketplace for foodies. Brimming with independent small companies and family businesses, here you'll find an array of foodie treats perfect for gifts - or for yourself! A place after my own heart, they describe themselves as fussy, in a good way. Browsing the site I can be assured that all the products have high quality natural ingredients and have been responsibly sourced - no nasties to be found here. They also have some really unusual products (seaweed gin anyone?) that will impress even the most seasoned of foodies. The lovely lot over at TheFoodMarket.com asked if I'd like to give the products a whirl, as well as host a rather cheesy giveaway for you guys too. First up is this rather delightful cheese board with some savoury chutneys to accompany. I went for a super creamy Machecoulais Cremeux Boîte (£4.46/130g), French Rocher Nantais (£3.71/350g) and a Caws Teifi Smoked Cheese (£4.00/200g) from Wales. The softest of my choices was more definitely the Cremeux, a cow’s milk cheese which melted away at room temperature. The artisanal Rocher Nantais had a firmer texture and more punchy taste that reminded me of Edam. Lastly, the Teifi was firm but slightly crumbly with hints of oak from the smoking process. Alongside I served up some awesome condiments from none other than We Love Manfood. The only problem I have with this is the name - us girls like chutneys too! Based in Cambridgeshire, these lot certainly deserve their Great Taste Award. The beer jelly had an almost honey like sweetness that went well with the Cremeux, whilst the Telfi went perfectly with the smoky and sticky onion relish. At £6.99 a jar, these would be ideal foodie gifts for someone who likes to experiment - especially if they love their cheese and nibbles. 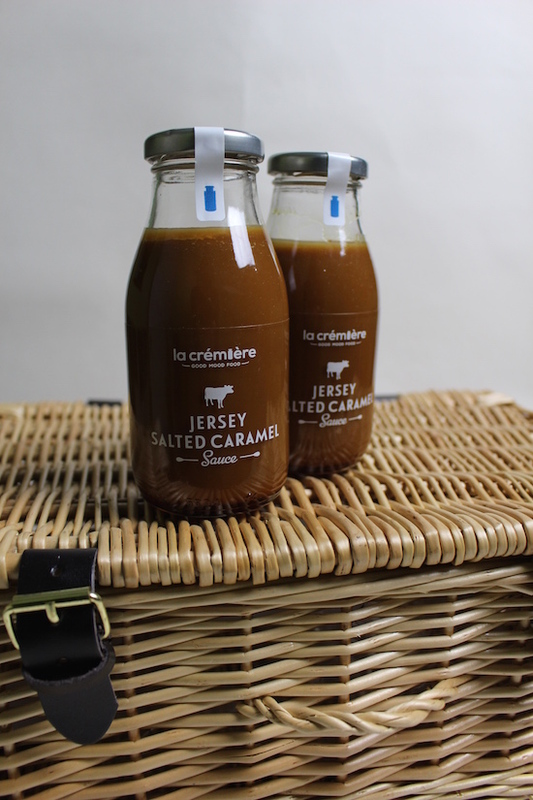 In addition to the cheeses, I also tried Jersey Salted Caramel Sauce from La Crémière (£11.90 for two 250ml bottles) and Vorrei Truffle Butter (£7.50). This indulgent Jersey sauce will end all hope of a healthy January - no doubt! You’ll have to wait and see what I’ve made with the caramel sauce (hint hint: Pancake Day) but with the butter I made a mushroom and truffle butter risotto - divine! Since I went to a specialist truffle restaurant in Rome I just can’t get enough. Hence why these online food markets are such brilliant places! So now your chance to try out their fantastic cheese! The prize is your preferred cheese up to £30 from this selection over at TheFoodMarket.com Simply enter via the form and answering the question below. Giveaway ends on Sunday 7th February 2016 - good luck! What is your favourite ever cheese? The prize is your choice of cheese up to the value of £30 from TheFoodMarket.com. Subject to stock availability. Giveaway is open to mainland UK only. One entry per household. Only entries submitted via the Rafflecopter with full contact details will be counted. The winner has 24 hours to respond before another winner is chosen. The box will be delivered by relevant cheese producer(s) and I have no responsibility on timings of postage. Closing date is midnight on Sunday February 7th 2016. Post in collaboration with TheFoodMarket.com, who are also providing a prize for my readers. All opinions my own. I'm so hungry now! I think I've seen those chutneys on a James Martin show a while ago, would love to try them. 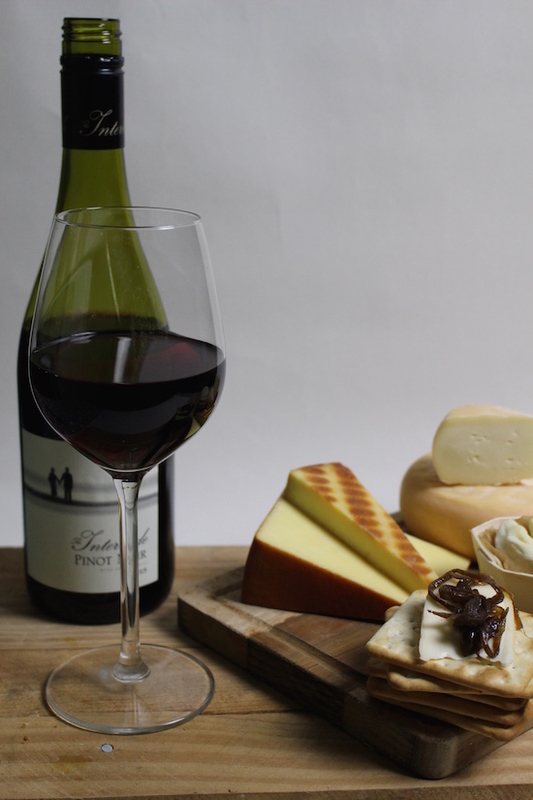 Definitely going to have a cheese and wine night soon! Also my favourite cheese is Brie or an extra mature cheddar! Mine is 'Black bomber' a cheese from Wales. I love crumbly Leistershire cheese! Your food items look delicious. High quality organic nibbles delivered to my door, which means I don't have to get drenched running down the hill to the Deli? Whether I win the prize or not you've got a new customer and if the products are good I have a lot of friends that would enjoy a weekly lunch splurge. I'm in ! It depends what I'm eating it with but just to nibble on I prefer Emmental and similar cheeses. I don't like strong cheese, Caerphilly is lovely, or Wensleydale. Oooh those cheeses look incredible...and I ate A LOT of cheese at Christmas so I'm surprised how I can even think about it ! Feta cheese is my favourite. Always liked and still do good old Wensleydale. 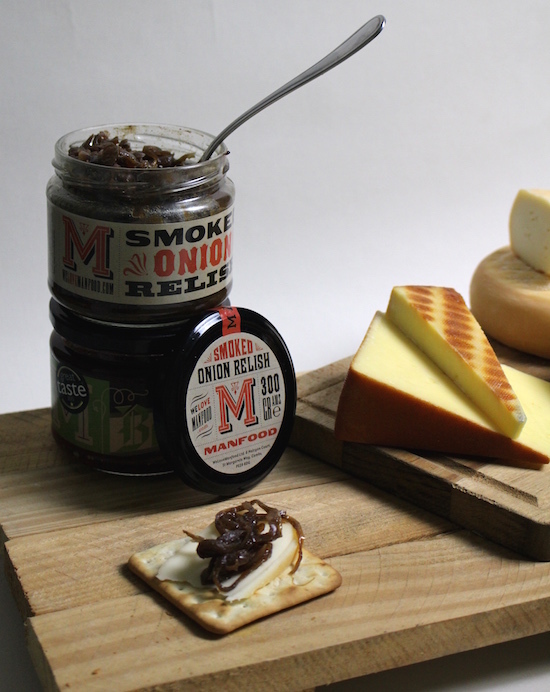 Applewood smoked cheddar - yum! I'm so torn, I love both feta and halloumi but I'll have to go with halloumi!! Lincolnshire Poacher. Seriously. It is beautiful. A smelly Camembert. The smellier the better. 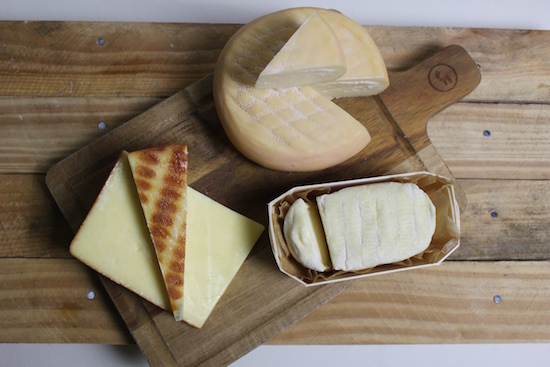 Love Mature Cheddar, but Halloumi comes a close second. I love all cheese (except the mouldy kind) but feta is my favourite. It's got to be brie! Definitely love halloumi the best! Honestly, and this might sound boring, but I love a good strong cheddar! Tough question! I love smoked Applewood Cheddar, & am quite partial to specialty flavoured Stilton...but I don't get to eat Monterey Jack very often, so I do go crazy for it when I've got hold of it! It has to be Coverdale - like Wensleydale but even more yummy! I can't resist a bit of Brie! I'm not supposed to have any for health reasons, blue stilton is the LSD of choice for mice! I love a nice hot camembert with cranberry! My favourite cheese - difficult question. I have two completely opposing and equally delicious favourites - brie and stilton. I think mine is Edam :) Hard one though! Stilton. Goodness that is quotidien. Red Leicester - full of flavour and very versatile. I'm obsessed with goats cheese. I really like halloumi or stilton cheeses. I love Red Leicester, melted on toast with spring onion. Yum! I fell in love at first taste with the Dutch cheese Komijnekaas when I was a teen and have loved it ever since. Actually, I like the Kiwi version slightly more than the Dutch! I like edam the best. Not very exciting, but I've never been into the mature or stronger cheeses. Mature cheddar - I had some artisan recently & it was divine, you could really taste the difference. Manchego, Brie and Stilton ! I have a few, but my favourite at the moment is Applewood Smoked Cheddar.